Leonardo da Vinci was arguably one of the most prolific artists of the Renaissance era, but he was also a great innovator in science and technology, credited with early designs of flying machines, the anemometer, and the parachute. Most of us are aware of his famous artworks including The Last Supper and The Mona Lisa. However, you may not know that he wrote one of the five letters of recommendation (LOR) required by Pope Julius II that resulted in the selection of Michelangelo as the artist to paint the ceiling of the Vatican’s Sistine Chapel. Okay, maybe I made that up, but as both an artist and a scientist, da Vinci certainly had the essential skills required for the task, because writing a great LOR is both an art and a science. LORs are an essential part of the airline application process. 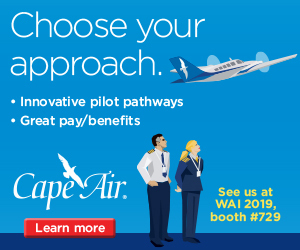 They are also a great way to “sell yourself” to the airline since you couldn’t cram all your awesomeness into the limited space available on your application and résumé. Some airlines use LORs as part of the criteria to determine who will be offered an interview, and others don’t read them until after the interview. Either way, since LORs are very important to the hiring process, now is a great time to start learning how to help your friends and coworkers help you. Hopefully this article will demystify the art and science behind the composition of a great LOR. In this article we’ll discuss the anatomy (the science) of an LOR, and provide some LOR etiquette tips (the art) when making the request. Finally, I want to speak to my fellow airline pilots who may be reading this and provide some advice for writing great LORs for your friends and former co-workers, thereby turning your artwork into a masterpiece. Let’s begin by talking about the science. What are the essential elements that should comprise an LOR? First, there are two broad categories of LORs, internal and external. Quite simply, internal LORs are those written by employees of the airline to which you are applying, and external LORs are those written by someone outside that company. As discussed in Cockpit to Cockpit, airline applications receive a total score based on all sections of the application. LORs are part of the total application point score. As a general rule, internal recommendations are worth more points than external recommendations. The best LORs are internal recommendations (from people within the company to which you are applying) who know you very well and have flown with you often. They should be able to speak to not only your flying skills, but also your work ethic and interpersonal skills on duty and off duty. I would give an LOR that meets all the aforementioned criteria a score of ten, wherein ten is best. That doesn’t mean that you should turn down a recommendation letter from someone within the company who doesn’t know you as well. An LOR with a quality score of five is better than no LOR at all. There is no template format for LORs. Any professional business letter or personal letter format should do the trick. The important part is the content. The letter should include a date and be addressed to the appropriate department, or pilot hiring manager if you know the name. The signature block should include contact information including phone number and email. If the author is an airline pilot, include the airline name, and employee number. The LOR begins with a simple introduction paragraph. This paragraph should start by providing an endorsement of the pilot applicant for the position of first officer with XYZ Airlines. The introduction paragraph should also provide a brief summary of the relationship between the author and the pilot applicant including the length of the work history and/or friendship. The main body of the letter should discuss the applicant’s aviation experience, leadership experience, work ethic, awards, and interpersonal skills. The order of those items is not necessarily important as long as it flows logically and hits all the high points. Try to keep the length to one page including the signature block. The closing paragraph should reemphasize why this person is perfect for XYZ airlines. This is also a good place to sprinkle some personal information about the applicant beyond their résumé’s bullet points. This paragraph should also include an offer to the airline to reach out to the author of the LOR via phone or email for more information about the applicant. Okay, so that’s the science behind the basic building blocks of an LOR, but it’s really just the bare essentials: the frame and canvas of our artwork. Now let’s look at the other tools at our disposal: the palette of colors, the brushes, and techniques to create our work of art that is a great letter of recommendation. 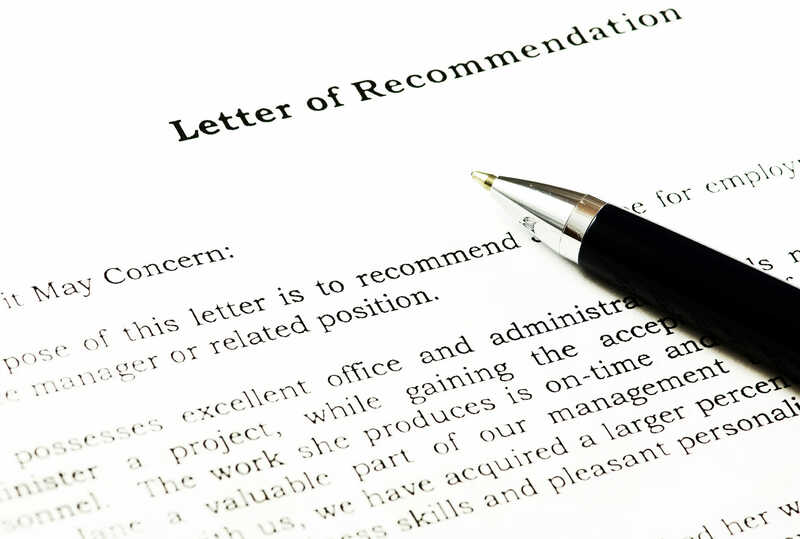 There is certain etiquette (art) to requesting letters of recommendation that, if applied correctly, will greatly improve your chances of actually receiving an LOR from each person you burden with the request. I purposely used the word “burden” because; let’s face it, that’s what it is. 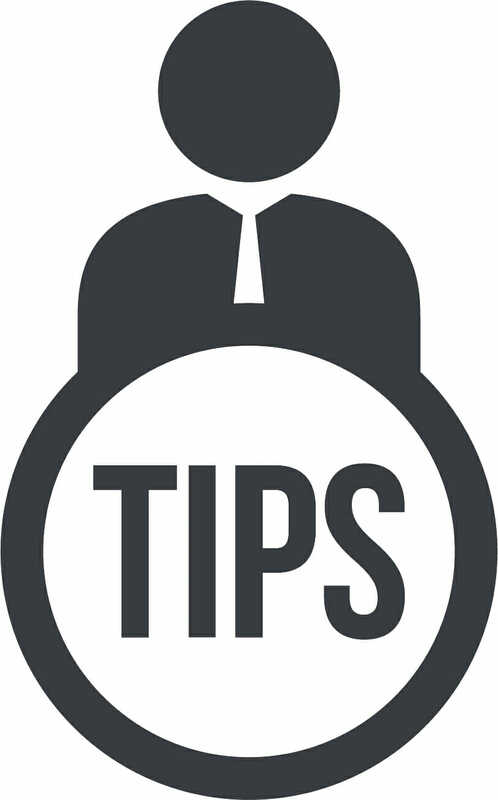 It takes time to write a quality recommendation letter. Everyone is busy with the thousands of other pieces of daily minutia in their lives, and you just added another. I highly recommend providing a draft LOR and résumé to each person from whom you are requesting a recommendation. It doesn’t matter if they will be providing an electronic recommendation online or a normal paper recommendation letter. You are much more likely to receive an LOR if you provide them the 80 percent solution in the form of a draft letter versus asking them do all the heavy lifting. When someone asks me to write an LOR and provides me a draft, I appreciate the gesture. I like to write one from scratch anyway, using my own unique writing style, but I will include many of the facts and themes from their draft. Having their draft LOR usually saves me about 15-20 minutes versus not having a draft to work from. You may be surprised at how hard it is to write a draft LOR about yourself, especially if you’ve never even written one for someone else. Therefore, I have provided some sample LORs in the Cockpit to Cockpit Support Package available on www.cockpit2cockpit.com. These will give you an idea of what an LOR should look like and what type of content should be included. Let me be clear here; I am not advocating that you use the sample LORs provided in the Cockpit to Cockpit Support Package by just changing certain items to match your information. That would be unethical and an ethical faux pas can easily lose you a great job. You need to draft your own unique LORs. I just provide examples to give you a place to start since you’ve never done this before and I want to save you some time and effort. Here are a couple other ideas to increase the chance that someone will actually write you an LOR. If you’re requesting an electronic recommendation, send them the link to the website. This works well with the pilotcredentials.com electronic recommendations by copying the “Recommendations” link from the top of the application homepage. If the person to whom you’re making the request is someone you worked with in the military, you should also provide them with copies of any performance reports from the time that you worked together. This will give him/her quick insight into your accomplishments, flying achievements, and contributions to the unit that he/she can address in their LOR. 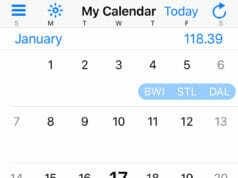 It also helps to provide a target date of when you will need the LOR. When I was an Air Force officer, anytime I ever asked someone for a deliverable, I always asked for a reasonable “suspense” (also known as a due date). I find ten days is about right for an LOR request. Less than a week of turnaround time is too pushy; remember, they are doing you a favor. Anything over two weeks and they will likely push it to the back burner and forget about it. This section is for those already living the good life as a mainline Part 121 airline pilot who may be asked to provide an LOR for a friend or former co-worker. It’s time to pay it forward and help others just as several people probably helped you by writing letters of recommendation to help get you where you are today. As we discussed earlier, writing a great LOR is an art form. Here are some tips to create a masterpiece. First, speak from the heart. As pilots we tend to compartmentalize. We put our emotions on the shelf where they belong when we go fly. When writing an LOR, it’s OK to let your emotions run wild on paper. Nobody is around to see you anyway, so go ahead and get a box of tissues and put on your Celine Dion Greatest Hits CD and start writing. Tell the airline why you admire this person so much that you named your first-born child after them. Don’t just take the draft they wrote you and sign it, or copy-paste the last LOR you wrote only changing the names to protect the guilty. Keep in mind; your credibility is on the line when you recommend someone to your airline. Speaking of credibility, you should only agree to write an LOR for someone you know fairly well. If the hiring department suspects that you’re running an LOR factory, your future LORs may be disregarded thereby actually hurting your friends’ chances of being hired. An LOR should start by stating the purpose of the letter and provide an enthusiastic endorsement of the pilot applicant. For example, “It is a great honor to provide my strongest recommendation for John Q. Public as your next XYZ Airlines first officer”. The introduction paragraph should also give a brief summary of your history with the pilot applicant. How long have you known them? What is the nature of your relationship to the applicant –are you a friend, supervisor, co-worker, neighbor, etc.? What assignment(s) or job(s) did you overlap with the applicant? What were your and their roles in those assignments/jobs? When discussing aviation experience, you’ll want to include total flight hours and some of the more pertinent sub-categories such as pilot-in command (PIC), turbine-PIC, combat, multi-engine, instructor pilot (IP), and evaluator pilot (EP) time. This is a great place to sprinkle in any aviation awards such as IP of the quarter/year. Don’t forget to include their highest aircraft qualifications achieved (IP/EP, Aircraft Commander, Mission Commander, etc.) as this speaks to their career progression in relation to their peers. 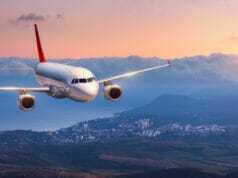 That is an indication to the hiring airline of the applicant’s ability to succeed in training. You’ll want to highlight the applicant’s work ethic also. Work ethic is important to the airlines. The airline only makes money when airplanes are in the air. 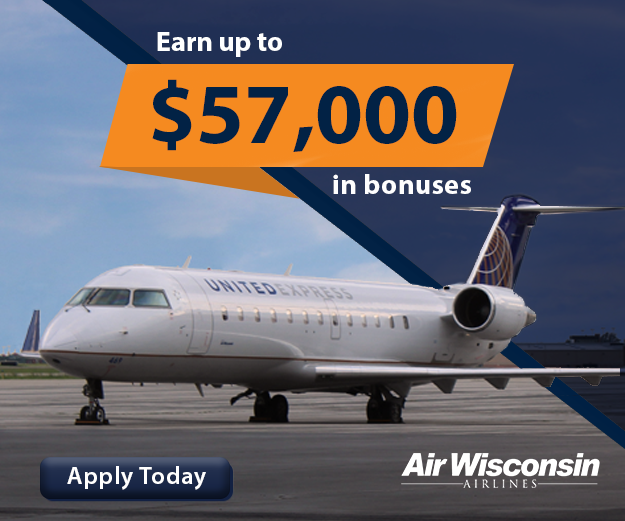 They want to know that they are hiring someone who loves to fly and will be a very productive pilot for the company. 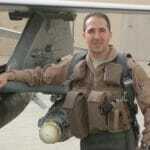 Flying hours are one way to highlight work ethic, but personal anecdotes where you witnessed the applicant go above and beyond and/or roll up their sleeves and get down and dirty with the troops to get the job done are even better. There is no magic maximum number of LORs but some airlines do have a minimum number required and that number should be spelled out in the application or interview instructions. As a general rule, five is a good number to strive for. However, at the 2017 Women in Aviation International conference in Orlando, Fla., a representative from United Airlines’ HR team stated that four quality LORs (internal or external…makes no difference) from people who know you well and can speak to your flying skills will maximize the points available for LORs on the United Airlines pilot application. You’re probably aware of one or two pilot friends at each airline you’re applying to, but there may be other friends working there also that you lost touch with over the years. Over the course of a military-pilot career, it’s quite normal to make great friends at one assignment but lose touch with them when they (or you) receive orders to the next duty assignment. Facebook® and social media have helped prevent this phenomenon to some degree, but it’s still likely you will lose track of some friends along the way. A good way to find people you know within each airline is to use LinkedIn®. If you don’t already have an account, I highly recommend it (www.linkedin.com). Using the LinkedIn® search feature, I found many pilots at various airlines with whom I had lost touch over the years. Simply type the name of the airline in the search bar at the top, and it will show all your LinkedIn contacts (and their contacts up to third order) that have the name of the airline you searched in their profile. Another way to find old friends who are now airline pilots is to ask a pilot at that airline to send you the seniority lists for the different airframes and domiciles at that airline. You may recognize some names when you scan the seniority lists. It’s a good idea to get original hard copy, inked signature LORs if possible, or at least a printout of letters that were signed, scanned, and e-mailed to you. Some airlines will require you to bring hard copies of your LORs to the interview. For my interviews, I printed all my LORs on very nice, heavyweight, résumé paper and created a very professional LOR packet that included a table-of-contents. As you can see, there are both art and science behind letters of recommendation. The science involves basic framework and essential content that should be common to all LORs along with determining the appropriate number of LORs required. 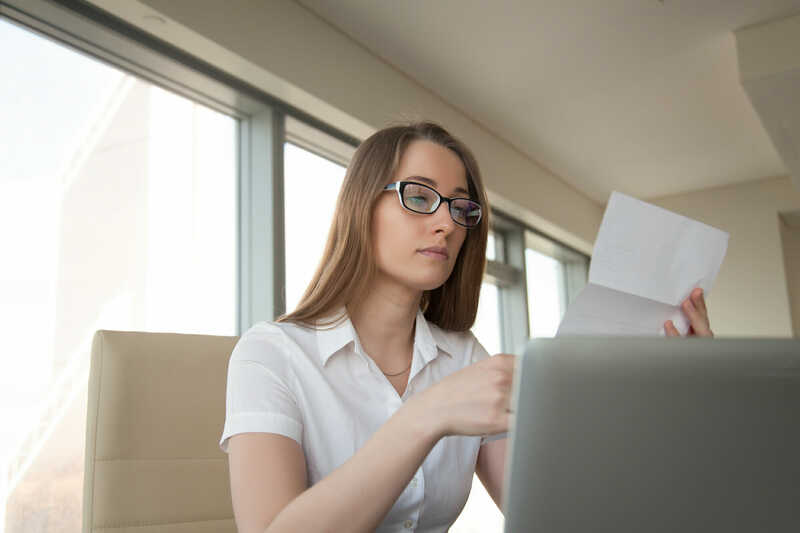 The art covers a wide variety of techniques for requesting an LOR, ways to enhance the letter with personal details to help the applicant stand out from the competition, as well as methods for the applicant to help their LORs appear more polished and professional. The information presented here is purely technique and certainly there are other ways to go about requesting and creating LORs. While I can’t guarantee that your LORs will ever be compared to the works of the great masters like da Vinci and Michelangelo, my hope is that these techniques will take some of the stress out of the LOR process and provide inspiration for writing LORs worthy of having you (or others) hired by desirable major airlines. For more great airline transition gouge, visit www.cockpit2cockpit.com to get your copy of Cockpit to Cockpit.